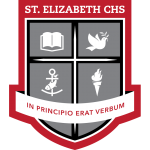 St. Elizabeth CHS was founded in September, 1987. It was housed in a temporary location, now Holy Family CES for two and a half years. The school moved to its permanent location in February 1990. The school continued to grow, peaking at approximately 2,000 students. St. Elizabeth also was recognized as an ESL Centre. In September 2003, St. Elizabeth launched the Regional Arts Program. A dance studio was added to our facility. Students from across the region auditioned for spots in one of five areas: Dance, Drama, Instrumental Music, Vocal Music, or Visual Arts. The popularity of this program has continued to grow. The York Catholic District School Board Centre for the Arts was opened in February, 2006. This state of the art theatre has enhanced our school productions and has allowed our students to gain valuable technical expertise. St. Elizabeth has also been given a high skills major designation in the area of arts and culture. The students continued to excel in biotechnology, arts and in sports. Their commitment to helping the less fortunate is clearly evident in the fundraising efforts they have embraced. St. Elizabeth, we ask you to help us grow in faith and understanding. Help us to know that nothing is impossible with God. Help us to celebrate life with our Mother Mary at the visitation. Help us to offer hospitality to those who are in need, just as you offered your support to Mary during her pregnancy with Jesus. As a mother, you know the joys and sorrows of young people. Be our support. Help us to grow as students and teachers. May our school reflect your gifts of faith, respect for life, and hospitality. St. Elizabeth, pray for us. Amen. Religious education courses are compulsory for students for each year of attendance. This life of faith requires that each student study and gain knowledge from scripture (both the Hebrew Scriptures and the New Testament), the Sacraments, Catholic Moral Teachings, Church history, and the religious experiences of the world around us. Over the four years of community service, students will develop a portfolio, which will highlight their fulfillment of the Catholic Graduate Expectations. This collection of experiences will enable them to demonstrate their commitment to Catholic values as well as Catholic Graduate Expectations. John has been an educator with the York Catholic District School Board for his entire career. 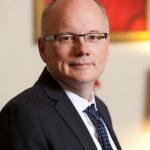 John joined the English department at St. Robert Catholic High School after completing his Bachelor of Education degree at the University of Toronto in 1986. 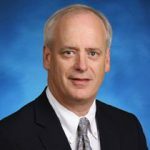 Soon after, John assumed the role of Assistant Department Head of English at Father Bressani Catholic High School (1989-1994), Department Head of English At Holy Cross Catholic Academy (1994-2002) before returning to St. Robert as Department Head of English from 2002-2004. Having completed post-graduate studies in 1991 (Master of Education, Ontario Institute for Studies in Education), John had always maintained an interest in curriculum leadership and educational administration. Having served as Vice Principal (2004-2008) and Principal (2008-2014) of Sacred Heart Catholic High School, John led initiatives that included the complete upgrade of the school’s wireless system, the implementation of Bring Your Own Technology for students, the introduction of Google Apps for Education for both staff and students, the installation of charging stations for mobile devices for student use and the implementation of a paperless parent-teacher interview system. He introduced IPads for teacher use and supported a program for their use in Mathematics education. Now at St. Elizabeth Catholic High School, John looks forward to continuing his vision for the growth of the school – including enhancements to the use of technology in pedagogy, the development of a student-led media team, the enhancement of student success initiatives, and the ongoing focus on both school- and board-initiated improvement plans. Delbert Allan proudly began his teaching career with a busy grade two class at St. Thomas Aquinas Elementary School in Keswick. Mr. Allan spent the following ten years in a variety of teaching and support roles in elementary schools with York Catholic District School Board, which found him serving in each of the three elementary school divisions as well as assuming roles of extra responsibility including Divisional Chair, Core Resource Teacher and Principal Designate. Mr. Allan spent an additional twelve years at Sacred Heart Catholic High School in Newmarket, where he taught in the Religion and Student Services Departments. Mr. Allan served terms as both the Department Head of Religion and the Department Head of Student Services. Mr. Allan also served on the Chaplaincy Team at Sacred Heart Catholic High School. Mr. Allan served as Vice Principal at St. Maximilian Kolbe Catholic High School in Aurora, where his portfolio included the development of a peer support program for new grade nine students; the implementation of both the Grade Nine EQAO Mathematics and the Grade Ten Ontario Secondary School Literacy Test; overseeing Student Government and Student Services, and a variety of other initiatives. Mr. Allan holds a Masters Degree in Religious Education from St. Augustine’s Seminary and The University of Toronto. Mr. Allan is a Permanent Deacon with the Archdiocese of Toronto, having been ordained in May 2014 by Cardinal Thomas Collins. Mr. Allan’s ministry as a Permanent Deacon finds him working with shut-ins Nursing Home residents and the marginalized, as well as serving his home parish.